Not only chimneys. Besides the chimney systems, distributed and appreciated in 28 Countries in the world since almost 40 years, in the STABILE catalogue you can find the CA LINE, a product line designed for ducting the hot air generated by wood and/or pellet stoves and chimneys. 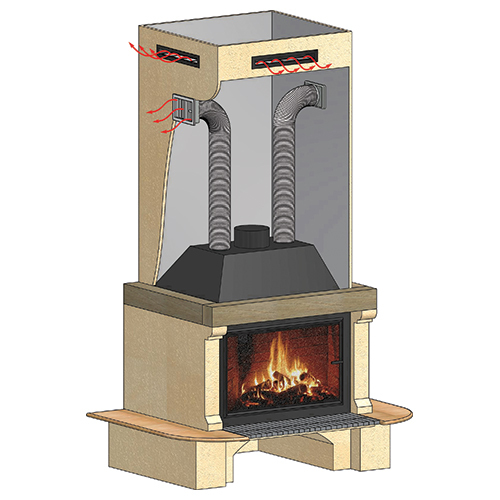 Straight and flex elements, elbows, grids, slits, sleeves, junctions, bands and much more: “STABILE CA” offers a wide range of solutions able to optimize a balanced heat distribution into several living environments when using biomass appliances. 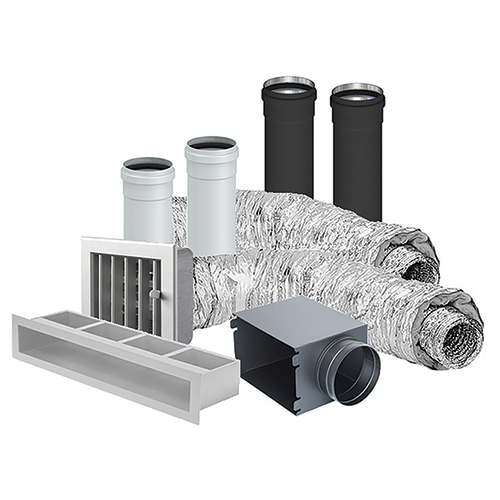 In order to avoid any mistake, it is important to pay the utmost attention to the diameter and the length of the whole air ducting system, which is usually reported in the manufacturer’s instruction of the stove or the fireplace. In order to get better performances, we suggest to insulate the canalization and to use as less elbows as possible, in order to reduce pressure drops. 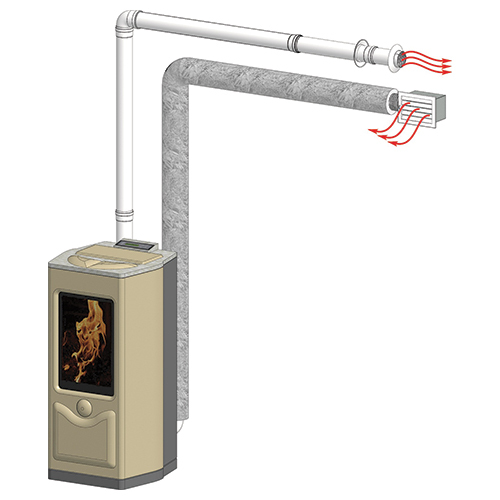 The canalization can be installed inside the wall using the insulated aluminum flexible pipe and terminate it in the desired area through the appropriate outlet nozzles or grids. In the case of a non-invasive restoration of the system, the canalization can also be installed on the outside of the wall through a white or black aluminum pipe at sight.